Canyoning. Turning a noun into a sport and a canyon into a playground. Some places call it canyoneering but the premise is the same. 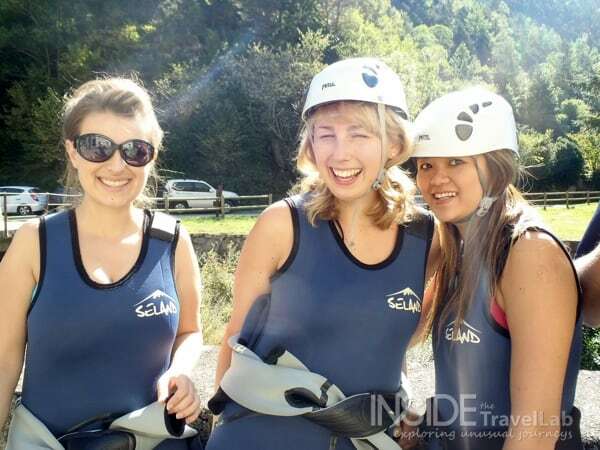 Here's what to wear canyoning and what to bring with you. Updated 2019. This video shows you what canyoning is like in Jordan’s Wadi Mujib - just a hop, skip and a jump (if you’ll forgive such old-fashioned verbs) from the majestic Dead Sea. And speaking of old fashioned, it was filmed a few years ago! But the premise stays the same, even if my tech equipment and editing skills have improved. Trainers are best – they provide grip but they’re not too heavy when you’re underwater. Also, if you’re travelling, then they’ll dry out quicker than other shoes. If you've been bitten by the bug, you can buy specialist canyoneering shoes. If you’re canyoning in a cold place, you’ll probably be given a wetsuit, so bring a bathing suit to go underneath. If you’re canyoning somewhere hot (like Jordan) you’ll go in your usual clothes. Lightweight, quick drying sports clothes are best for this. Normal cotton trousers tend to stick on your skin. Jeans are even worse. Fingerless gloves can make you more comfortable. Bring a spare pair of shoes to the centre (and ideally a fresh, dry set of clothes) for changing in to afterwards. Realise that you will get very, very wet. Completely soaked in fact. You may well be submerged for periods of time or need both hands while you’re in the water. So, don’t take anything with you that you can’t fasten to yourself – or that isn’t waterproof. Put sunscreen and insect repellent on if you need it (depending on where you are) before you set out. Related: What is it like to go skydiving? Remove all jewellery (including wedding rings.) They can get snagged on the rock that you’ll be clinging to and you risk a rather nasty injury called “degloving.” Enough said. And most places don’t have anywhere secure for your valuables...Therefore, try not to bring them. Waterproof cameras, like the Olympus Tough or GoPro work well while canyoning as they are light enough to attach to your lifejacket and small enough to slide inside your sleeve for protection. In spite of the long list above, canyoning’s a fantastic, pulse-racing sport that you can begin at any level of fitness. Don’t believe me? 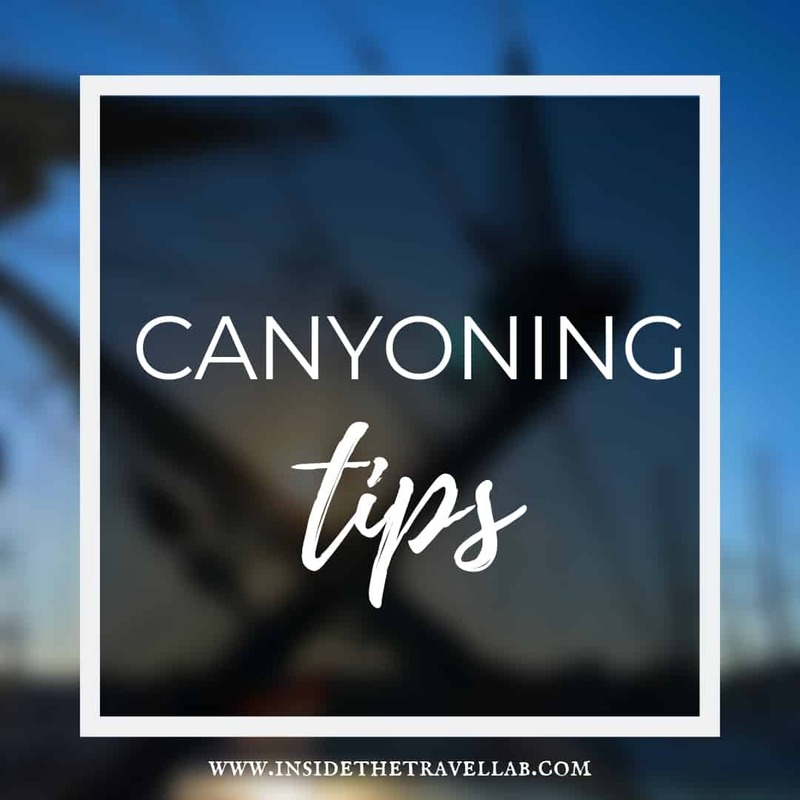 Check out my other canyoning video and read this incredibly inspiring story about Julie Collazo’s first canyoning experience. Then read this post from the Planet D. That’s what happens when you push canyoning to the max. Disclosure - in each of the locations mentioned, I went canyoneering on a complimentary basis for review purposes. As ever, as always, I kept the right to write what I like. And the fact that I'm still recommending some of these places nearly a decade later should tell you something! Looks like an incredible and adventurous experience! Thanks for sharing these great tips! Hope you find them useful – I had a great time!